Just because you have an opportunity to meet your new neighbors after you move into the neighborhood doesn't necessarily make it easier to do. 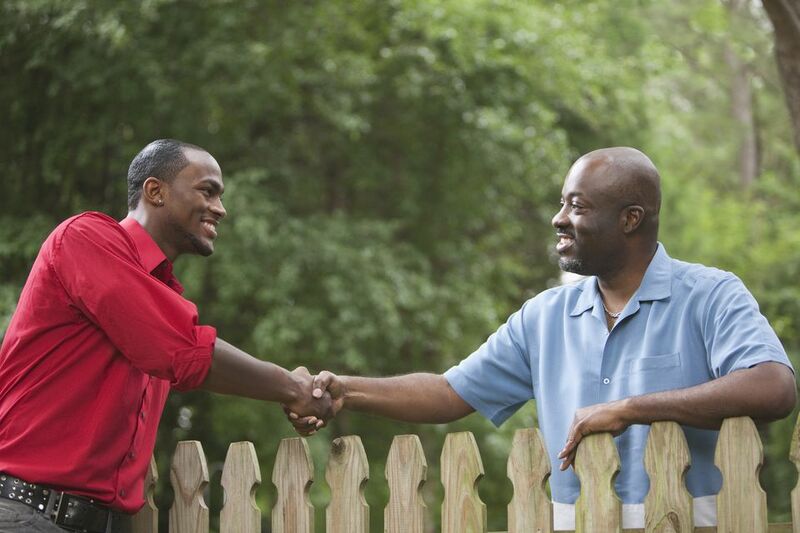 But getting to know your neighbors will help you feel like your at home and settled into your new space. Check out your neighborhood. Note those who seem to have kids, (toys out front, loud screams from the backyard, and parents frantically trying to get small people into a van along with sports equipment.) Those who are elderly, those who seem to be always in the garden, or even those who only seem to come out at night. (Although they're more difficult to meet unless you are also a night owl). If you can find some common interest - you both have kids, your mother is elderly, or a friend talks about her garden a lot even if you don't possess a green thumb - this will make it much easier to approach the person. The key to careful observation is to not to be obvious about it nor act stalker-ish. Some people may feel a little strange if you seem to know too much about them. A great way to meet your new neighbors is to spend time outdoors, in your garden or by taking a walk around the block. If you have a front porch, use it. You'll be surprised how easy it is to meet people when they approach you first. Make sure you spend time outside after work hours or on weekends. We all have busy lives, so make sure you only approach your neighbor when it seems like it might be a good time. Avoid dinner, breakfast and early mornings (unless they're already up and outside) and when they're getting in their car. Usually, if someone is leaving or coming home, they have an agenda and plan and don't necessarily appreciate the interruption. If you go back to what you noticed about your neighbor you can start there. So if you see your neighbor scrambling into her van with two girls in tow, one with a baseball glove and the other in a tutu, then you could approach your neighbor and ask about community softball for your child or where your child might take ballet lessons. Just remember that your neighbor might be in a hurry, so leave your number or ask them to drop by sometime. No problem. There's absolutely nothing wrong with just walking up to the front door, and introducing yourself or inviting them to a small get together. Let them know you just moved in and where you moved from. If that still feels uncomfortable, then ask about garbage pick up or recycling centers in the neighborhood. Remember, while you think you might not have anything in common, you do: you live on the same street, in the same neighborhood. That's enough to start any conversation. While it might be the last thing you want to do while you're still unpacking, hosting a casual get-together is a great way to meet your neighbors all at the same time. If the weather is nice, host it outside. Ask people to bring snacks or drinks or chairs or all three. Everyone knows you've just moved in and don't expect much, plus they'll want to help out. Always try to keep the talk short unless it's naturally progressing, and to allow the neighbor to make a move for an extended visit. If they're interested, they'll say so or even invite you in. Leave it in their hands.